Recently, I had the opportunity to review the newest SQL book, hot off the press – the SAMS Teach Yourself SQL in 24 Hours, 5th Edition. The book has been written by Ryan Stephens, Ron Plew & Arie D. Jones, and includes coverage of both – Oracle and Microsoft SQL Server implementations. For 10 years now, the SAMS Teach Yourself series has helped kick-start the careers of millions of professionals around the world, and this book continues the tradition. The first thing that I realized was that this book was not about the specific implementation, but it is about the ANSI SQL standard, which to me increases the appeal even more. I am a strong believer in the fact that once the standard is known, implementations are not that hard to conquer. Every vendor will have their own version of the standard, but at the end, it’s all about combining the knowledge of the standard and logic to create practical solutions. This book does a very good job at explaining the standard, and earns points from me right from the start. 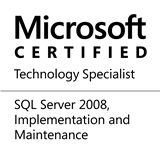 I am a Microsoft SQL Server professional, and I felt quite at home going through the book. The book follows a very balanced approach by explaining the ANSI standard first, and then following up with Oracle, Microsoft SQL Server & MySQL implementation samples, while explaining the differences between each! Throughout parts 4 to 7 (Complex queries, Performance tuning, Security & summarized data structures), these parts will give experienced professionals a run for their money! What I would recommend is that everyone – beginners and intermediates alike – must take the time out and run through the “Watch out!” and “By the way” sections. The Quizzes & Exercises (including Bonus Exercises) are also a must solve. Surprisingly, they gave me a flashback of all that I knew in Microsoft SQL Server – definitely worth spending the time. For beginners though, I would recommend spending time out and gain background on entity relations (ER) and ER Diagramming. Once the reader knows what a relational database is, and what the key concepts are, this book would be a breeze. Remember that the book is about a standard and implementations, not about concepts. Readers should not ignore the appendices either. They contain a summary of all commands learnt in the 24 hours, bonus exercises and answers to the exercises & workshops after each chapter. Finally, here’s my biggest tip – don’t try to complete this in 24 hours back-to-back. The best ratio I found was to cover 1 hour (chapter) each day, and then spending the time to solve exercise, and conduct follow-up research/reading. If I had to change one thing in the book, I would add a chapter, or an appendix on basics of relational databases. Readers need to understand that at the end of the day, the only relationship that exists is a 1:1 relationship between instances of entities (even a 1:N is multiple 1:1 relationships). Therefore, it is essential that the reader understands that a relational database is at its best if the user designs them in such a way that the query filters can be designed to return one and only one row (i.e. are most selective). I would give this book a sound score of 4.5/5. Happy reading and best of luck with SQL! I would like to thank Pearson education for giving me the chance to review the book. Best of luck! This entry was posted in #SQLServer, Blog, Imported from BeyondRelational and tagged #SQLServer on July 7, 2011 by nakulvachhrajani.